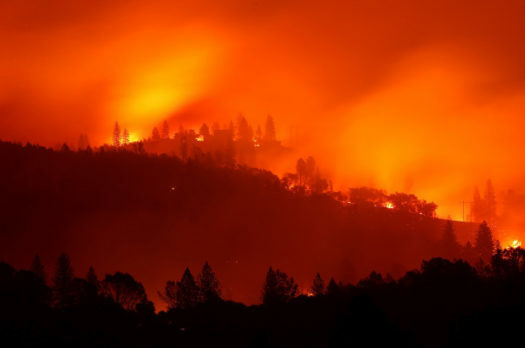 California has always been burdened with wildfires, but the fiery state was bombarded with three wildfires on Thursday, November 8. Feelings of panic, chaos and fear from the fire remain in California. The Camp Fire, the worst fire of the three blazes, set records. It has destroyed more than 113,000 acres of land across Northern California. The Camp Fire has destroyed 6,453 homes and 260 other structures. A total of 29 people were killed in the fire. If death rates continue to grow, the Camp Fire will be the deadliest fire in California history. The Woolsey and Hill fires have also laid waste to California. Two people were killed in the Hill fire. In total, the two fires covered about 142,500 acres of land. Many people have lost their homes and loved ones. Firefighters are still battling the fires to the best of their abilities.